It's a new season, and in more ways than one. While the shift in weather might have you down, the brand new season for the Atlanta Hawks brings tons of reasons to lift your spirits! 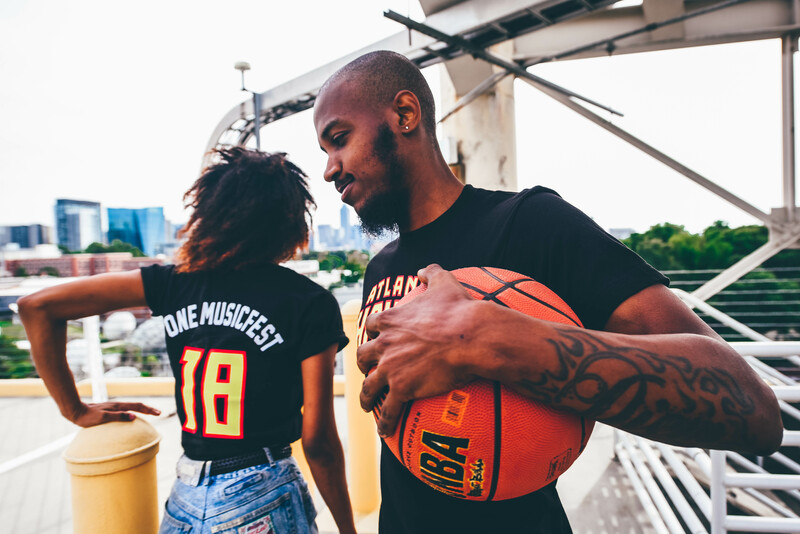 This year ONE Musicfest teamed up with the Atlanta Hawks to build excitement for the 2018-2019 NBA season. 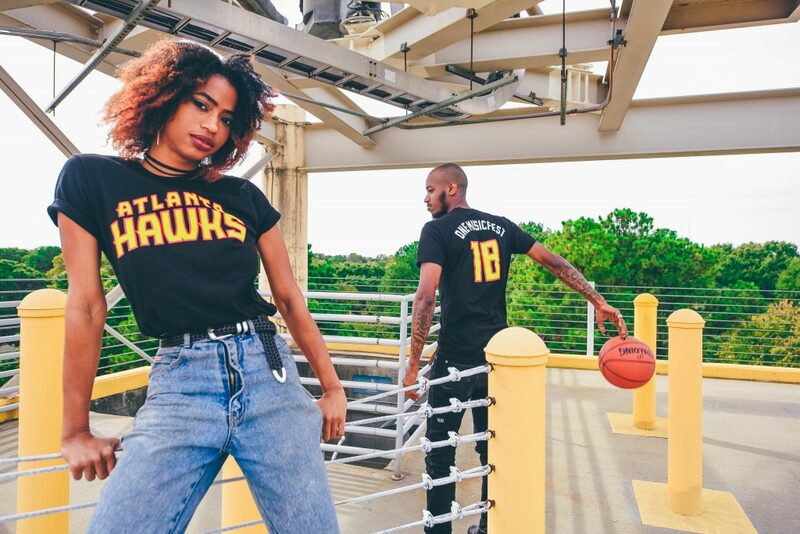 Harry The Hawk and the Hawks Cheerleaders were on-site at OMF 2018, ONE Musicfest was presented with a commemorative OMF 2018 jersey, and OMF and the Atlanta Hawks collaborated on limited edition OMF x ATL Hawks tees! OMF teamed up with award-winning photographer Quan ATL for an OMFxHawks promo shoot. – Quan ATL was voted Atlanta's best street photographer by Creative Loafing two years ago, and has been making waves in the artist community for quite some time. 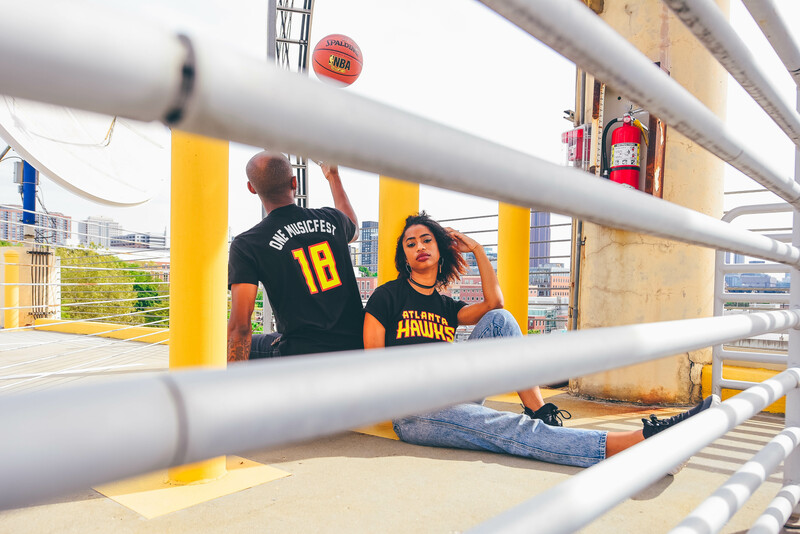 Quan ATL grabbed two of his friends, a basketball and two OMFxHawks tees, then headed to an incredible location downtown to capture some amazing photos. Full photo gallery below! Limited edition OMFxHawks tees are available NOW for purchase! 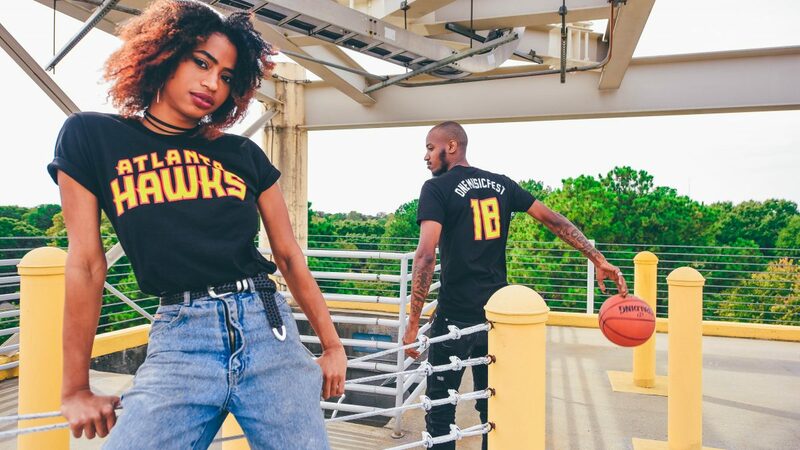 Don't miss out on this historic Atlanta Hawks season! 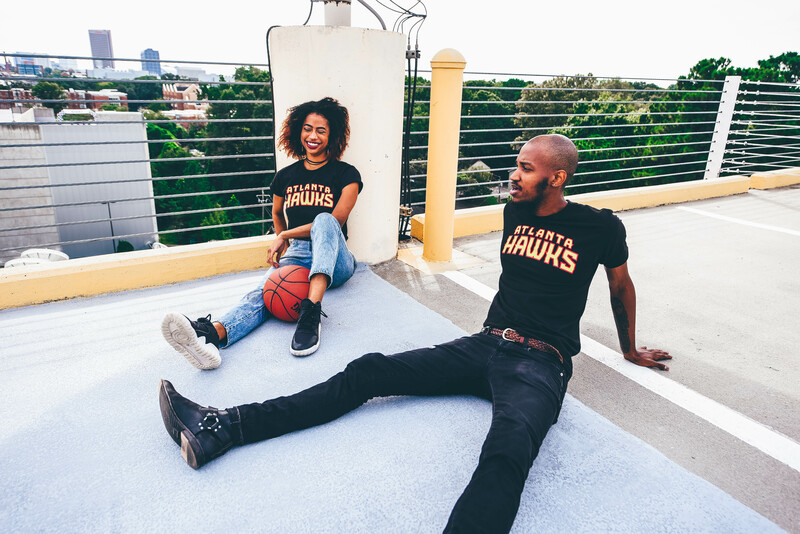 – There are too many reasons to be excited about this historic Hawks season. We have a brand new State Farm arena, a new coach, talented new players, plus you can get a quick line-up mid-game at Killer Mike's S.W.A.G. barbershop in the new arena. The home opener is tonight agains the Dallas Mavericks, and Future is performing at halftime! Head to Hawks.com to grab your tickets ASAP, and best of luck to the Hawks this season!